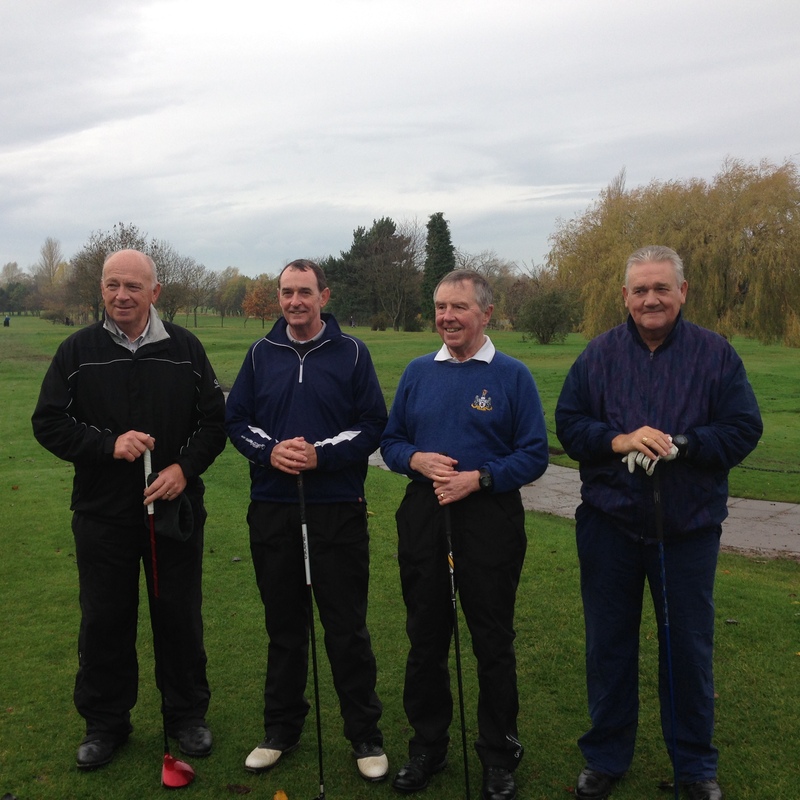 The annual Captain verses President team match took place on 8th November 2015. With the Capatin's Team winning 4-1. The weather leading upto the weekend was decidely unpleaseant. There was much constination and concern that the heavens would open and the match would either be abandoned or played in dreek conditions. The Captain's chosen 10 gathered in the bar (I don't think many of them wanted to leave it) waiting for the starters gun. We espied on www.raintoday.co.uk whilst gathered in the clubhouse that a brief window of opportunity was presenting itself providing us with hope that we would get out without getting wet - but most likely would get wet once we reached the 11th Hole. 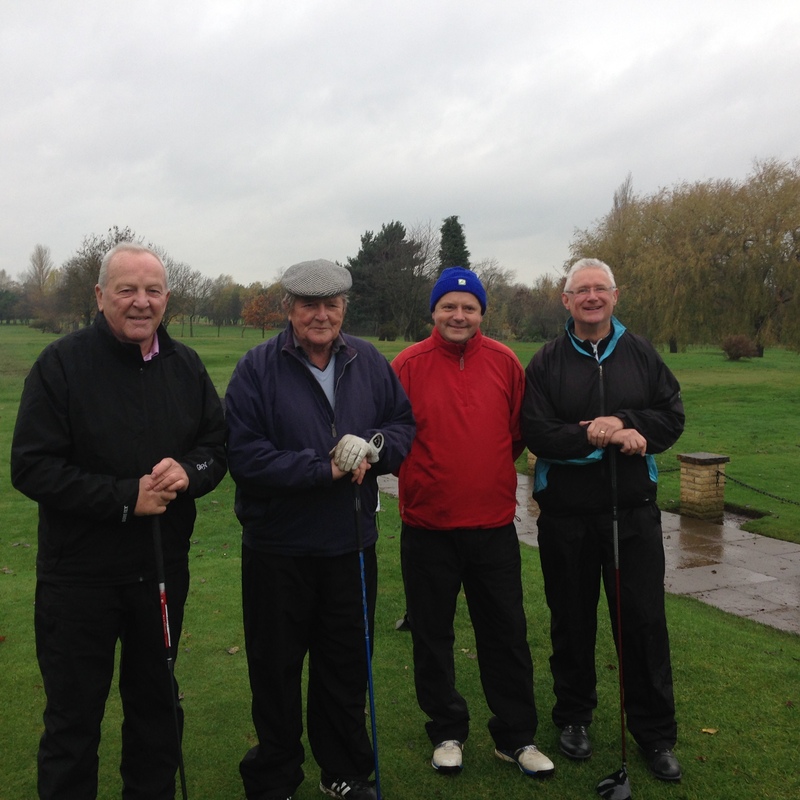 We all donned our wet weather gear and off we set, we decided that the competiton would be played over 14 holes - unless it was getting so competitve that teams decided it was a good idea to stay out for all 18 holes. The Captain claimed his team choice wasn't tactical but having been used to a great winning season didn't want to taste defeat and so picked what he considered was a strong team. Having said this the President's 1st pairing (Chris Charge and Willson McAndrew) had a magnificanet win against what was arguably as very, very strong pairing of Tony Stevenson and Alistair Cowie. 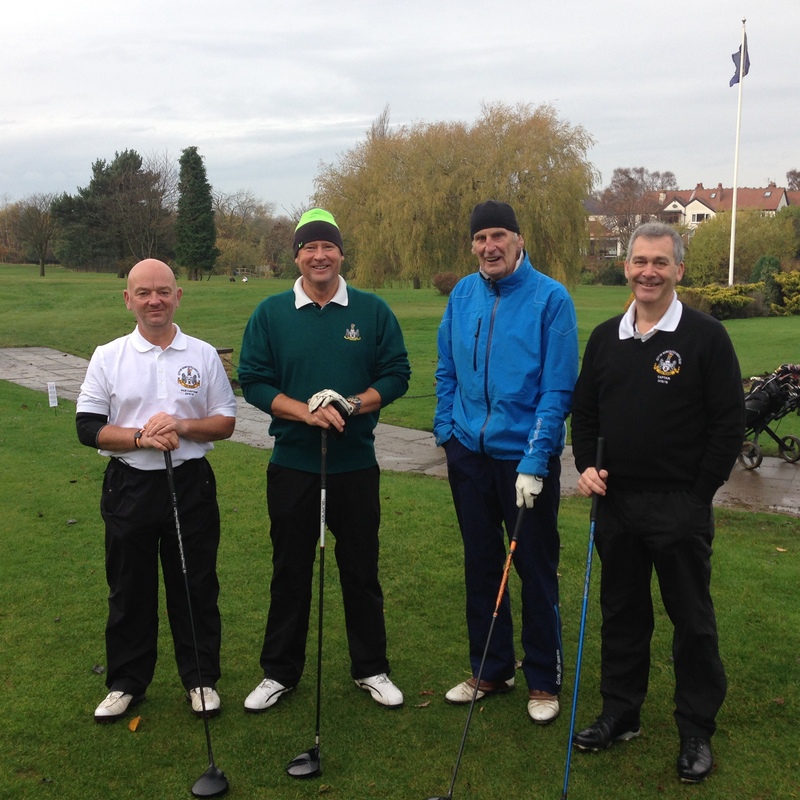 I'm not sure how this happened but rumours are the Chris and Wilson talked the opposition into submission! 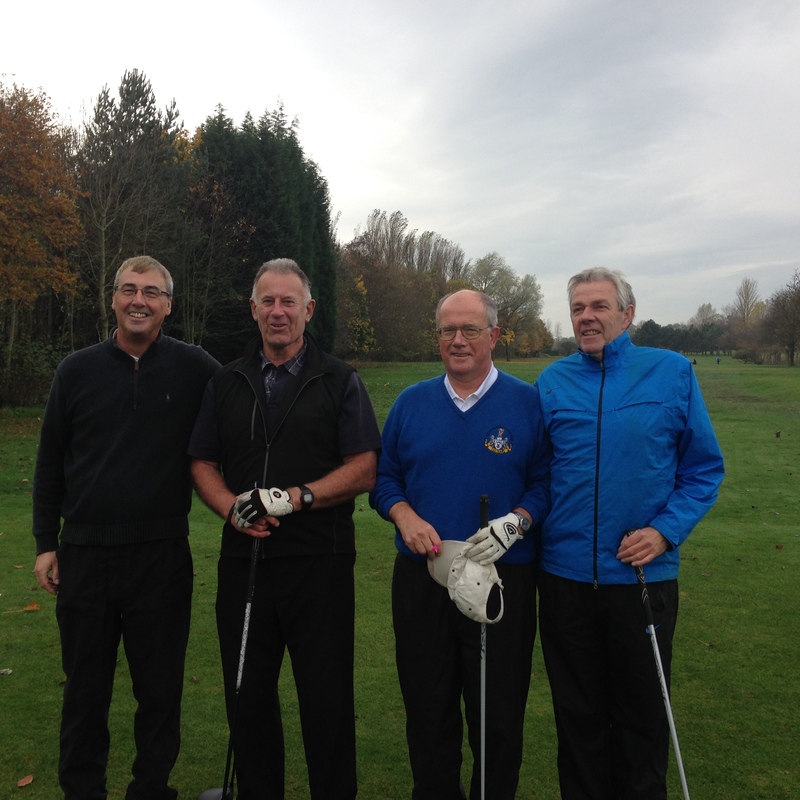 The five matches were played in great spirits and it has to be said good fun was had by all. Unbelievably we all stayed dry. Afterwards we had a nice meal and were entertained by President Peter giving the low down on his esteemed team of Past President and Past Captains. 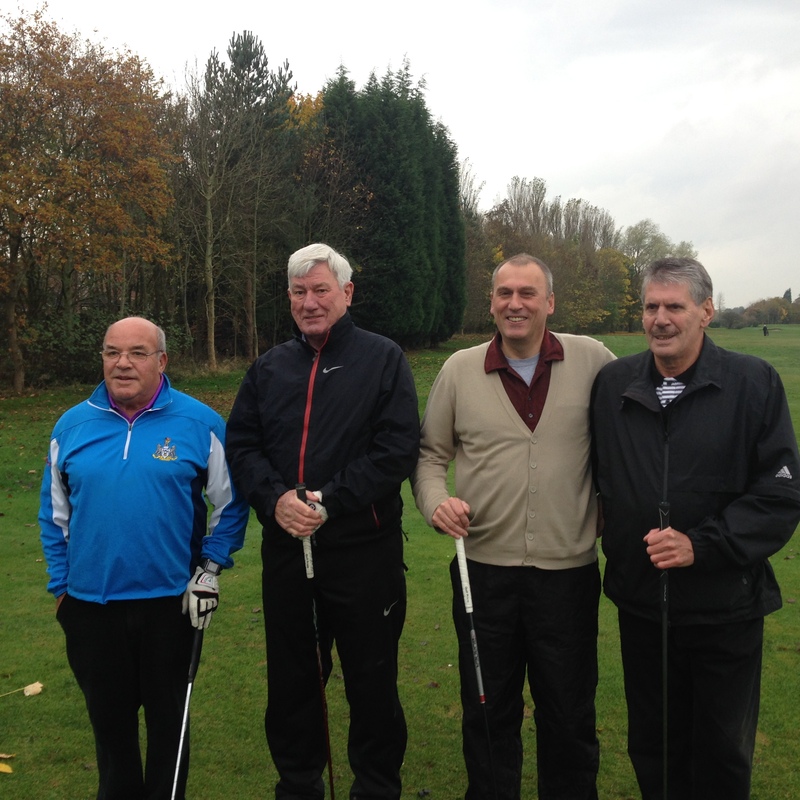 We also invited a few esteemed guest, stalwarts of the club who couldn't play but certainly have contributed much to the club - it was an honour and privledge to have them there. The Presidents were presented with their ties (Past and Present).